The talk has been rescheduled: it is now April 4th, 2018, same place: University of the Sciences, same time: 7pm. Some new stuff: thanks to the 7th observation of a gravitational wave, the speed of gravitational waves is now known to be the speed of light. And researchers have built a carillion using black hole frequencies as the pipes. 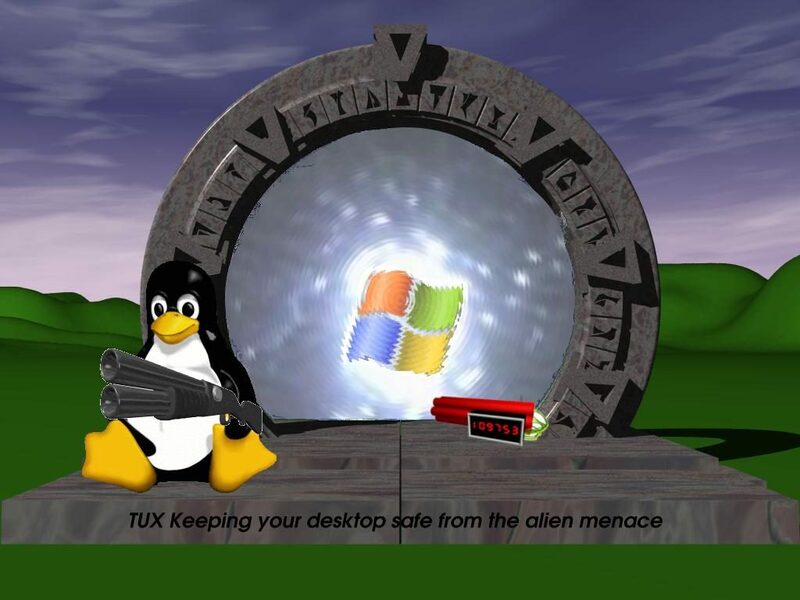 I’ll be doing my StarGates talk at the Philadelphia Linux meeting at the University of the Sciences this coming Wednesday. Both take us to the limits of the possible. And both let us push the limits of the possible another half-step beyond where it is. As to #1, if you are reading this the odds are you are already current with the cool of each. And #2 goes without saying: Linux is an amazing work, putting the most powerful general purpose operating system in the hands of the open source community, in the hands of the world. But #3 — extending the limits of the possible — is what I will be focusing on in my presentation: by asking questions about the impossible, we can extend the reach of the possible: get our grasp a bit closer to our reach, as the saying goes. So March 7th, at the University of the Sciences in Philadelphia, at 8pm, great if you can make it, and if not, have your imagination hop over & have a look. 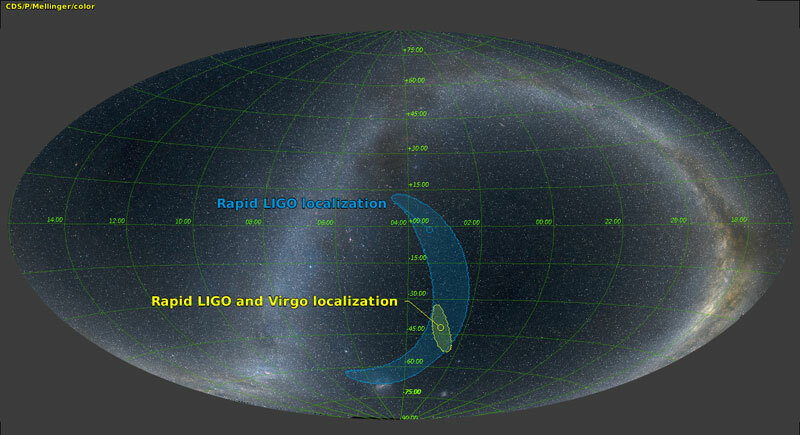 A fourth gravitational wave has been detected. Three solar masses worth of gravitational energy released, leaving a 53 solar mass black hole behind. As I do my now more than highly polished presentation on StarGates: the Theory & Practice. A fourth gravitational wave was detected last week, 9/27/2017. This was far more finely localized than the previous; 25 observatories are looking for signs of the event in the electromagnetic spectrum. And Kip Thorne — inventor of scientifically plausible StarGates — was awarded the Nobel Prize this week for his work on developing feasible gravitational wave detectors. Perhaps someday he will be even more famous as the inventor of StarGates! So I’ve folded these in my talk & look forward to giving it tomorrow at 3pm at Capclave, the Washington DC Science Fiction Convention. If you are in the area, I hope to see you there. PS. I will also be on a panel on Engineering in Fantasy & Science Fiction: I love it when we discuss the thermodynamics of magic & the magic of engineering! Followed Tom Holtz at Capclave: this is always good & bad: good because it guarantees a nice crowd, bad because he is a hard act to follow. The assembled multitude was enthusiastic, always nice. StarGates Jump to FossCon — The Free & Open StarS Convention! 9/3/2017: I have just posted the slides from Fosscon on slideshare. Comments, questions, problems, & buildable blueprints, all very welcome! This coming Saturday I’ll be doing the latest revision of my StarGates talk at FossCon, the Free & Open StarS Convention! “Call them Stargates, Jumpgates, Fargates, Hypergates or just an invitation to every pest from the far reaches of the Galaxy to visit, they would be invaluable in helping mankind break free of this solar system. Are StarGates only a convenient plot device — or could they actually be built? Accordingly to Einstein’s Theory of General Relavity, they are possible — at least in principle. My talk’s at 1pm. Hope to see you there! What happens if you drag a wormhole through a wormhole? I congratulated the questioner on the question & he just pointed at his young son sitting next, a lad clearly with a bright future as a scientist! I had to admit I wasn’t sure, but I suspect it would be bad news for all concerned: both wormholes, and any spaceships, space stations, or space-persons nearby! How do you think this might actually be done? I focused on wormholes because that is far & away the most popular of the approaches. But if some sort of stargate were ever actually to come to fruition, I suspect a combination of the Einstein-Rosen-Podolsky (EPR) effect and the ideas behind the Krasnikov tube would be at work. The EPR effect is the spooky-action-at-a-distance Einstein objected to; the Krasnikov tube is an idea of — curiously enough — Krasnikov for laying out a tube of warped spacetime behind your slower-than-light spacecraft. You’d have to go slower-than-light while laying out the tube, but could use it for faster-than-light thereafter. And as I said in the talk, negative energy & vortices are pretty sure to be involved. 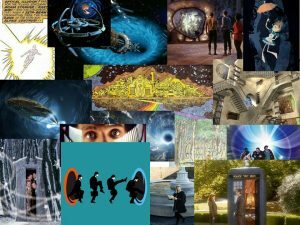 Announcement, Faster than LIght, Multiverse, Paradox, Popular, Science Fiction, Stargates, Theories of Time | John Ashmead | August 24, 2017 9:27 pm | Comments Off on StarGates Jump to FossCon — The Free & Open StarS Convention! StarGate to Baltimore Opening in Six Days! Call them Stargates, Jumpgates, Fargates, Hypergates or just an invitation to every unwanted pest from the far reaches of the Galaxy to visit, they are absolutely necessary if we are to have the glorious Science Fiction action we desperately need. Could they actually be built? Modern physics may permit, but: how to glue black holes together to build a wormhole, how to avoid the dangers of spaghettification, radiation poisoning and paradox noise, and just what would it take to build one in practice? I’ve just finished revising my StarGates — the theory & practice — for Balticon. It’s a Good News/Bad News thing: Bad News: we don’t know how to build them, Good News: we can’t prove we can’t, someday!1)(Or is that Good News: they can’t get to us yet, Bad News: but they just might anyway. Slides for talk now up on SlideShare; comments & questions very welcome. Talk will be this coming Saturday, May 27, 9am at Balticon. If in the neighborhood, drop by. If not in the neighborhood, spin up a stargate & jump in! 1. ↑ (Or is that Good News: they can’t get to us yet, Bad News: but they just might anyway. Faster than LIght, Multiverse, Quantum Gravity, Quantum Mechanics, Stargates, Time | John Ashmead | May 21, 2017 4:00 pm | Comments Off on StarGate to Baltimore Opening in Six Days! Doors and Portals and Stargates, Oh My! Call them Stargates, Jumpgates, Fargates, Hypertubes or just an invitation to every unwanted pest from the far reaches of the Galaxy to visit, they are absolutely necessary if we are to have the glorious Science Fiction action we desperately need. But could they actually be built? We look at what modern physics has to say: how to glue black holes together to build a wormhole, how to avoid the dangers of spaghettification, radiation poisoning, and paradox noise, and just what it would take to build one in practice. This was a talk I did at the last Philcon, went over well. And I had a lot of fun doing it. I’ve got it up as a talk on slideshare. And I may do variations on this at the 2017 Balticon & also Capclave. It is the kind of subject you can go anywhere with!